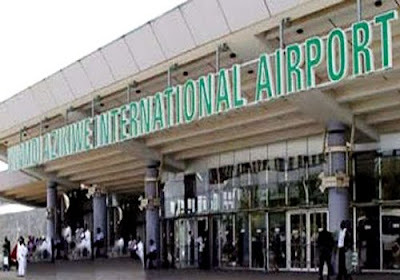 The wife of the President Mrs Aisha Buhari, has presented an award of excellence to a cleaner at the Nnamdi Azikiwe International Airport, Abuja for returning a lost bag containing money. She is reported to have returned the bag she found in a male toilet. The cleaner, Mary Ishaya, a staff of Lakewood Development Company, was presented with the award at a brief reception in the State House, Abuja. Buhari called on Nigerians to emulate the uncommon honesty and incorruptible disposition exhibited by Miss Ishaya. The tweet read; “We celebrate Mary Ishaya who works for Lakewood Company, the cleaning contractor responsible for cleaning Abuja Airport. “She found the following valuable items in the toilet: $2,000, $140 Canadian, eight pieces of coins, N21,850, two international passports, four ATM cards, four bus cards and baggage claim tags. NAN also recalled that the cleaning firm had, in appreciation, promoted Miss Ishaya from being a janitor to a supervisor. The award recipient, Miss Mary Ishaya, thanked the wife of the President for recognising her action, adding that the award will encourage her to do more. In his response, the Vice Chairman of the Company, Mr Jonathan Irafor, expressed gratitude to Mrs Buhari for finding her worthy of the award. According to him, “ this is a honour to Mary alone but the entire Company because that is what we preaching to our workers and we are seeing the result’’. Irafor, said that the company will continue to do its best to uphold honesty, transparency and integrity in line with the change mantra of the present administration (NAN).